Mother And Daughter Fatally Injured In Two-Vehicle Crash In Avenue E and W 10th Street in West Palm Beach | Schuler, Halvorson, Weisser, Zoeller & Overbeck P.A. A Chevrolet truck was involved in a two-vehicle crash that left a 57-year-old woman dead, according to the Florida Highway Patrol. The crash happened at the intersection of Avenue E and W 10th Street in West Palm Beach. Troopers said a 57-year-old woman and her daughter were traveling on Avenue E when a speeding driver who ran the red light at the intersection of W 10th Street and Avenue E struck them. The vehicle came to a halt and waited at the scene of the accident till Palm Beach County officials arrived. First emergency responders arrived at the scene shortly after the crash. The woman was pronounced dead at the scene. Her daughter suffered critical injuries to the head. The injured victim was transported to St. Mary’s Medical Center on 45th Street on trauma alert. Her current condition is unknown. 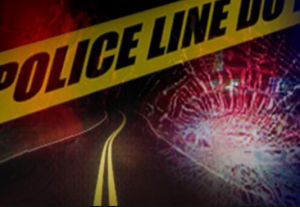 Authorities said that the vehicle involved in the accident was a 2006 Chevrolet Avalanche truck that is black in color. The truck sustained front-end damage during the crash, according to a news release. Two lanes were blocked at the intersection of Avenue E and W 10th Street in West Palm Beach due to the severity of the crash, causing traffic delays. Vehicles on this route are pulling to the roadside to allow crews work. The delay of traffic on this route is due to the severity of the crash. Drivers are advised to use an alternative route until investigations are completed, a deputy said.